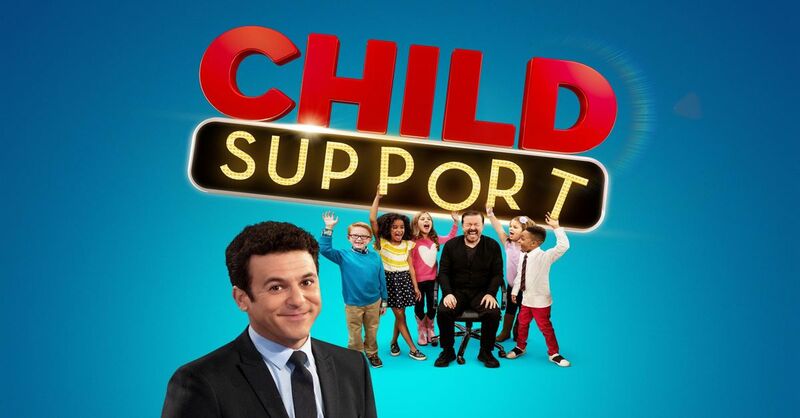 Ricky Gervais Shoots Child Support Episode at TV-1. No Laugh Track Required. Ricky Gervais has had a long and storied career as a stand-up comic, writer and Golden Globe and Emmy award-winning actor for his work in The Office. These days, he can also be found as the co-host of the hit studio-based comedy Child Support — which recently came to Manhattan Center’s TV-1 Studio to shoot an episode for part of its Season Two series. The “I-need-to-ask-for-a-lifeline” styled primetime series features Fred Savage (Kevin Arnold of ABC’s Wonder Years fame) as the host and Gervais as the resident funnyman. Filmed in Manhattan Center’s state-of-the-art TV-1 Studio, Ricky G peppers 10 adults with questions mostly drawn from contemporary cultural references. If the adult comes up with a “duh, I don’t know” answer, Savage then asks a kid if they know. If they do, the adult stays in the game with the chance to win $200,000. (There’s your Child Support!). Speaking with the thesimpleparent.com Savage said: “It definitely reinforced this idea that kids know a lot of stuff. Like, stuff you would never anticipate and stuff that they probably don’t even know they know, so in that respect, it just kind of reinforced that element of what you know about your kids. But I think going into it, I thought it was something I would want to watch with my kids, I wanted to make sure that it was appropriate. You know what I mean?” (Sure we do Fred!) 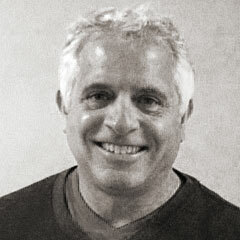 Still, before committing to host the show, he spoke with the show’s producers, Banijay Studios North America. Continuing with his interview in thesimpleparent.com he said: “I wanted to make sure it was not a lot of ‘winky-winky’ innuendos and entendres and a lot of times I think we all watch stuff that is for families, but it’s all like, they get a lot of comedy, you know, out of like, ‘Isn’t it funny that you get the kids to say inappropriate things in a way that’s, that they don’t, they’re, they’re ignorant of.’ and I don’t think that’s funny. As someone who works with kids, I don’t think it’s funny to take advantage of their innocence or naiveté to get comedy. As a parent, I think that innuendo is still treading in kind of inappropriate water, so I wanted to just make sure going in, and obviously Banijay is the company and they were totally on board. They’re like, “No, no, no.”…. As a parent, I wanted to make sure that we weren’t getting comedy out of entendres and suggestive things that kids shouldn’t be talking about, so I can safely say that there was none of that. This is definitely a family show and it’s something I want to watch with my kids. I feel like the stuff I work on is pretty safe.” Finally, when asked what his favorite part about hosting Child Support was, Savage had this to say: “I had so much fun — I really have this inner game show host just dying to come out that I didn’t even know it was there.” Ricky Gervais, David Goldberg, Caroline Baumgard and Jeff Krask are executive producers of Child Support; filmed at Manhattan Center, one of the best venues in NYC.